Inspired by beach days and sweet ocean views! 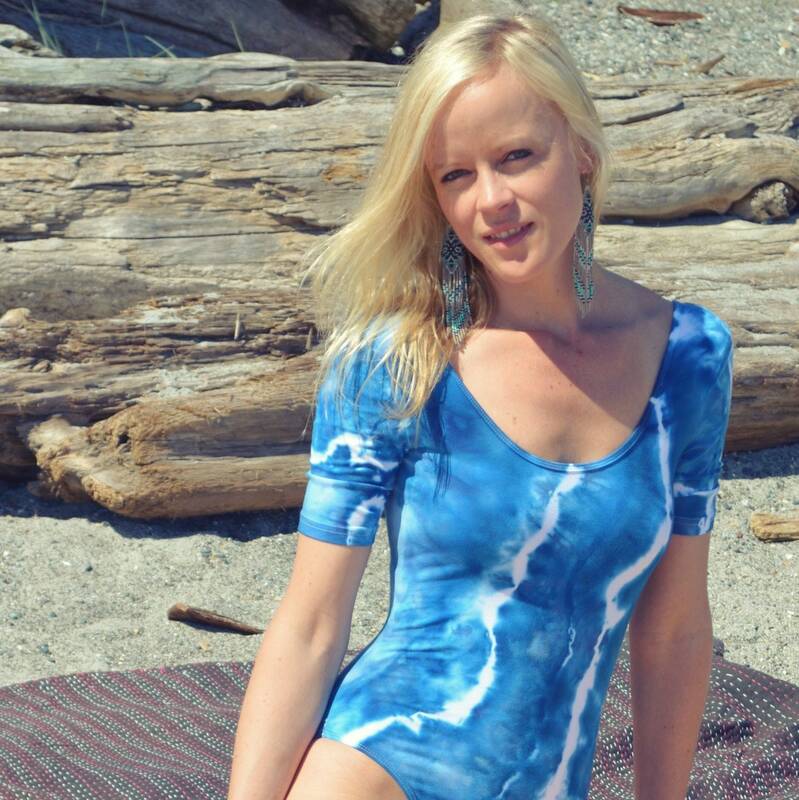 This super fun azul blue bodysuit features a low scoop neckline and deep scoop back. Full bottom. Hand tied and dyed in fade resistant colors. Wear it to the beach and pair with your favourite jean shorts or high waisted skinny's. These also work for dance practice, classes and events. Made from 95% cotton 5% spandex. Sizing note: If you have a longer torso or are in between sizes we recommend going with the larger size.